Higher visibility over the web is the key to success for any online property, whether it is a website, blog or forum. Greater online exposure is crucial for the growth of ecommerce stores, and if you have one or more Pinnacle Cart stores, integrating them with the Sears platform can help your business grow manifolds. 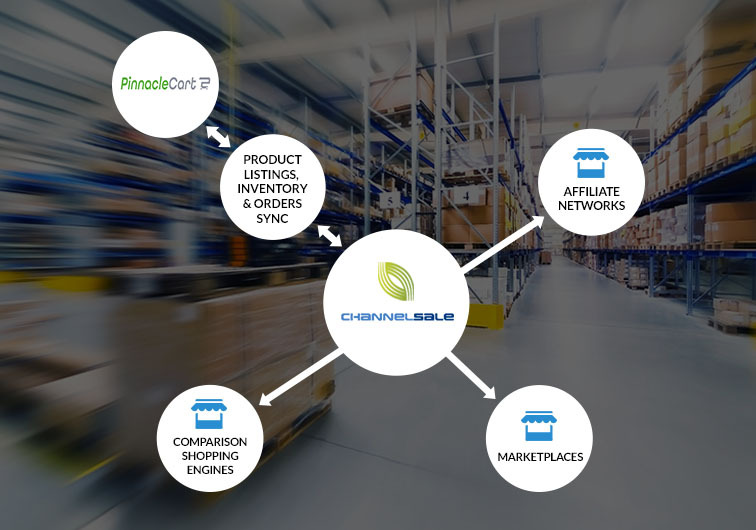 At ChannelSale, we can provide you with high-class Pinnacle Cart Sears integration services. We use new-age software management tools, such as Pinnacle Cart Sears app which ensure smooth and effective integration of the Sears platform for your store. You will not find any flaws with our integration services, as we sync all your store items impeccably with the most suitable product categories on Sears, one of the biggest online marketplaces. You can also benefit from the expertise of our marketing pros. Our experts are aces at marketing and can assist you with a variety of services such as real-time inventory management and automated product listing that can take care of all your store management requirements. Whether you need help with managing one store or more, we can be beneficial for you. We send marked up pricing to a variety of shopping engines and also keep flexible, variable pricing structure for different marketplaces. We use granular level item category mappings and our Pinnacle Cart Sears connector in order to link your store items with the most appropriate product categories available on Sears. We can provide you with feed optimization, shipping and order tracking management services, product performance analysis, ideas about over or under-selling products in your kitty, selling prices of rival stores, stock synchronization updates and more. We can assist you in selling products of any shape, size, colour or type. Whether simple, multi-variational, varied, kits, bundles or single items, we can support them. We ensure that your store products are displayed in accordance with the policies of Sears by using Pinnacle Cart Sears plugin and Pinnacle Cart Sears extension.